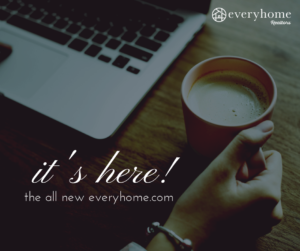 If you regularly browse the latest listings on EveryHome.com, we’re sure that you noticed some exciting changes to the website! 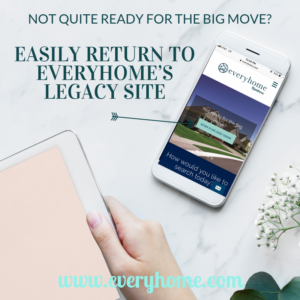 In honor of EveryHome’s 20th anniversary, the website was redesigned to offer expanded browsing options and even more features. While still retaining the simplicity that you know and love, EveryHome.com now allows homeshoppers to easily save and share their favorite listings, and even schedule private tours with just a single click! Plus, the website was updated to fit mobile screens better than ever. And if you’re not a big fan of change (hey, we get that! ), simply switch back to our “Legacy” website by clicking the link in the upper right corner. Real estate, real easy! As always, we’d love to hear your feedback. Please email us at theoffice@everyhome.com with any comments or questions about the all-new Everyhome.com!